Are you packing your bag to Myanmar? Curious about what to bring and what to expect? Don’t worry. We at Hanoi Voyages feel the responsibility to help you be well-prepared for Myanmar. We have compiled the most concrete, updated Myanmar Travel Guide for you. The time zone in Myanmar is GMT+6:30. 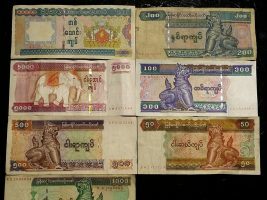 The currency in Myanmar is the Kyat. Better to always have cash on you. Make sure to negotiate the price beforehand, and note that asking to turn on the air conditioner inside taxis might cost you more. Apps: Grab and Uber are available in Yangon. What are the usual prices, how do you tip in Myanmar, when is Myanmar holiday, ...? Myanmar costs on average $35 per day including food and drink. For a low budget hotel room, you would have to pay around $25 USD per night. With that said, however, it all depends on what type of traveller you are, and your budget should cater to your plans and expenses. Get to know more information about the prices here. Note that the prices also vary depending on the place you are visiting. For example, the prices in Bagan are higher than in other places. Tipping in Myanmar will depend on the location you are and the place you are staying at. Many of the of the best hotels you could go to have a note on your arrival suggesting leaving tips in an envelope at the reception. Note that group tours may include tips, but guides may expect extra. In touristy areas tips are expected, but if you go to some rural places, note that giving a huge amount as a tip can be an embarrassment for the locals. In Myanmar, three types of plugs are used: type C, D, F and G. In case the plug you want to use in Myanmar won’t fit, bring a type G plug adaptor with you. Myanmar works on a 230V supply voltage with a frequency of 50Hz, when it works. Most hotels have generators (some run at night only). Note that local power sources in many towns are scheduled for evening hours only. Beside power cuts, some areas do not have electricity at all. You can buy a power adapter, converter or a charger, but beware that it will depend on the voltage and the type of device you would like to use with a Burmese power outlet. Therefore, before going further and choose the adapter for your trip, get more information here. Still think that Myanmar travel guide is not enough? Still worried?